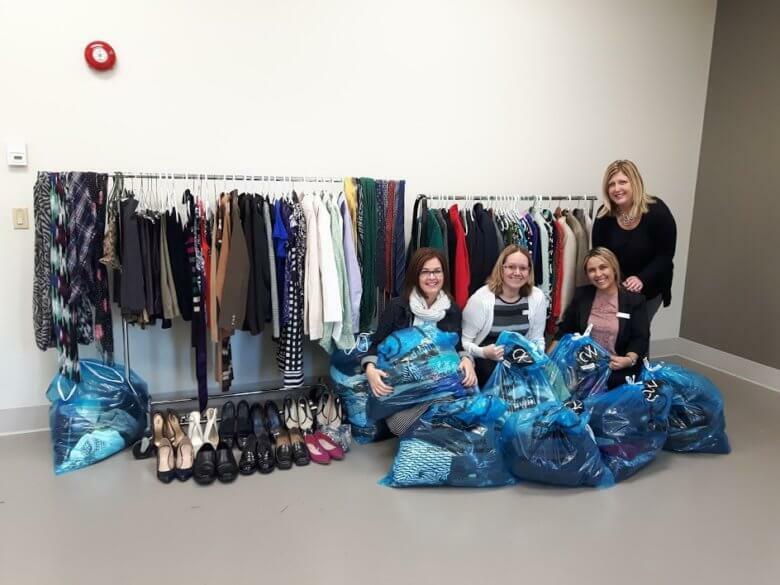 The Talent Strategy and Development team at London Health Sciences Centre (LHSC) held their second donation drive for ClothingWorks. Their donation of professional clothing and accessories will assist approximately 100 job seekers in need… outfitting them for upcoming job interviews and giving them to confidence to succeed. Our program is incredibly grateful for LHSC’s continued support.